Creativity is not just about making beautiful things that no one has ever seen but about providing solutions to the problems and challenges around us; creating solutions that add value to us and others. It is pertinent that children develop problem solving skills and do not give-up or overlook problems. They need to develop the skills to creatively solve the problems and challenges they encounter. 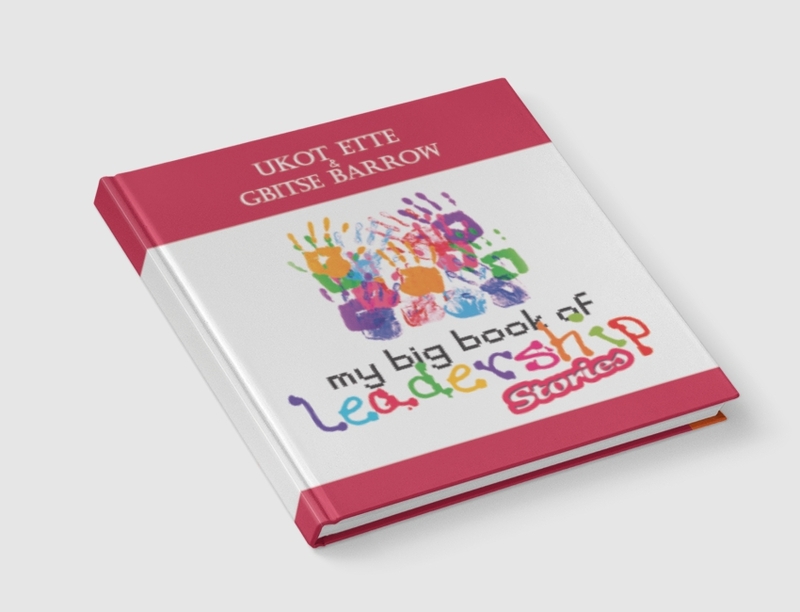 The book, Stories to SPARK Creativity in Children, written by Ukot Umezinne, Omagbitse Barrow and Christian Obadan is a collection of six stories, set in Africa. The stories teach children to celebrate the offbeat, value ideas, challenge themselves to overcome difficult situations, be fearless, explore options and think through problems to find solutions. This book is primarily targeted at children between 7 to 12 years old. Overall, they will learn what it takes to be a creative person from the stories in this book. The book can be read with your children, at home and in school, to help them find answers to the questions below. What should you do when faced with a challenge? What should your attitude be towards team work? How do you treat other people’s ideas? Are you afraid to fail? Specific skills that children will learn from this book include: •	How to recognize that no idea is a bad and developing listening skills to accommodate ideas that might seem ridiculous. 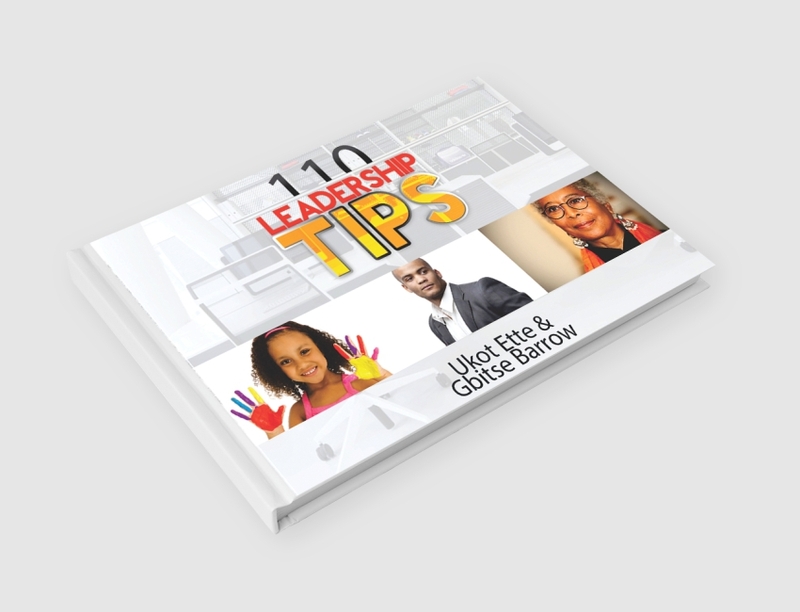 •	How to generate ideas, appreciate others’ ideas and select the best ideas from a pool of great ideas generated. •	How to embrace change and use what they have to get the results they desire. •	How to fail forward, by using failure as a stepping stone to success; learning from mistakes; doing things differently; and achieving desired results. •	How not to give up after trying one solution to a problem, rather trying several solutions until the desired result is attained. •	How to adapt seemingly unconnected things or situations around them into the actual solutions to a problem they wish to solve. Creativity is not just about making beautiful things that no one has ever seen but about providing solutions to the problems and challenges around us; creating solutions that add value to us and others. It is pertinent that children develop problem solving skills and do not give-up or overlook problems. They need to develop the skills to creatively solve the problems and challenges they encounter. 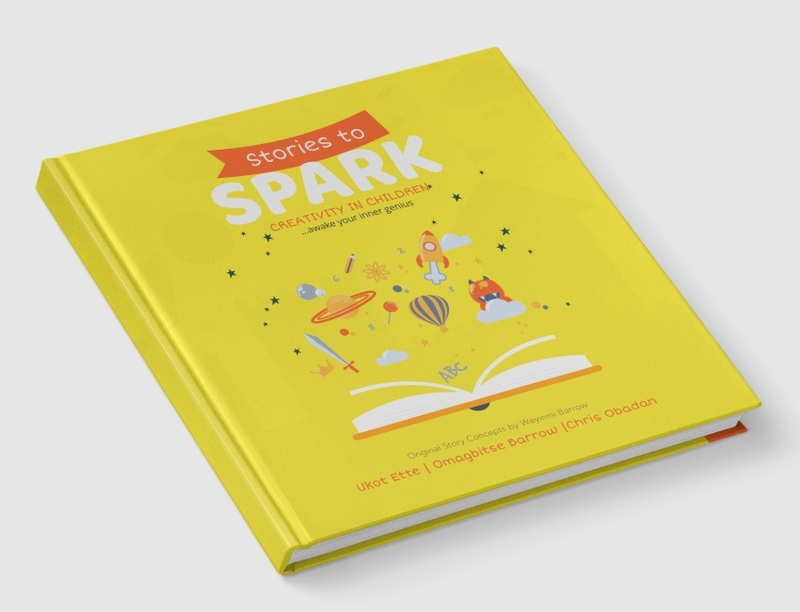 The book, Stories to SPARK Creativity in Children, written by Ukot Umezinne, Omagbitse Barrow and Christian Obadan is a collection of six stories, set in Africa. The stories teach children to celebrate the offbeat, value ideas, challenge themselves to overcome difficult situations, be fearless, explore options and think through problems to find solutions. This book is primarily targeted at children between 7 to 12 years old. Overall, they will learn what it takes to be a creative person from the stories in this book. The book can be read with your children, at home and in school, to help them find answers to the questions below. What should you do when faced with a challenge? What should your attitude be towards team work? How do you treat other people’s ideas? •	How to recognize that no idea is a bad and developing listening skills to accommodate ideas that might seem ridiculous. 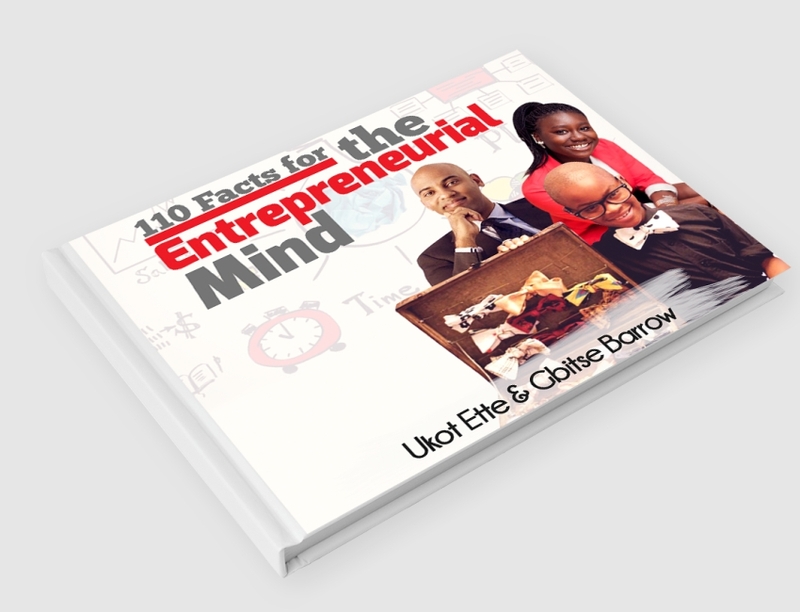 •	How to generate ideas, appreciate others’ ideas and select the best ideas from a pool of great ideas generated. •	How to embrace change and use what they have to get the results they desire. •	How to fail forward, by using failure as a stepping stone to success; learning from mistakes; doing things differently; and achieving desired results. •	How not to give up after trying one solution to a problem, rather trying several solutions until the desired result is attained. •	How to adapt seemingly unconnected things or situations around them into the actual solutions to a problem they wish to solve.